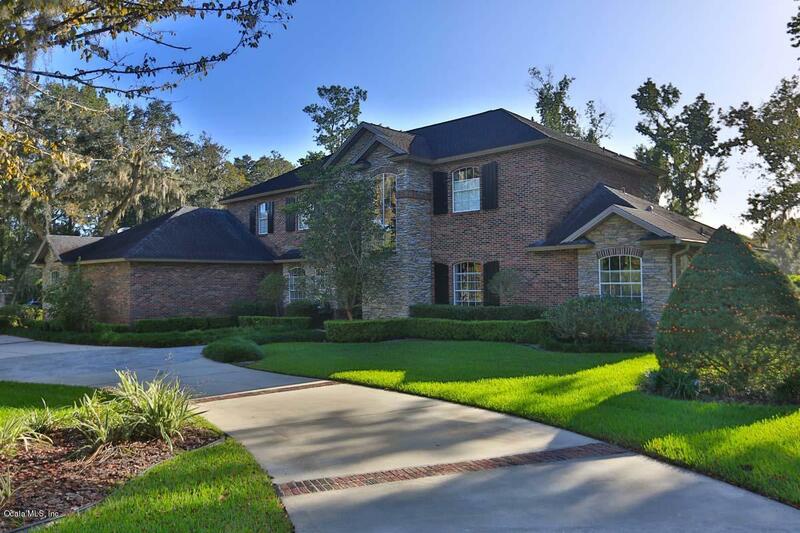 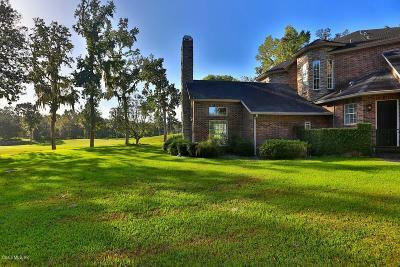 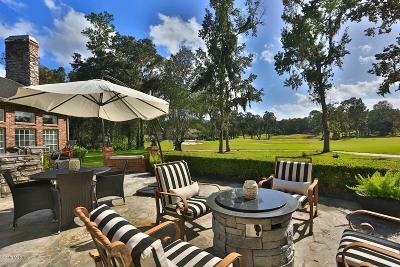 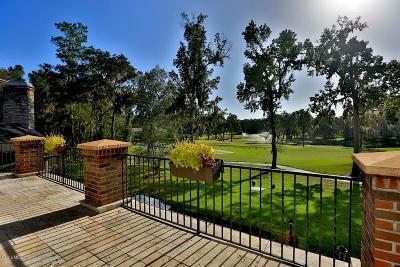 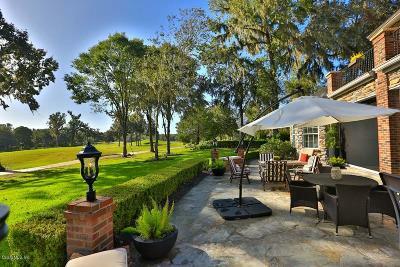 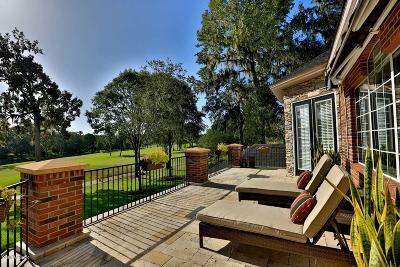 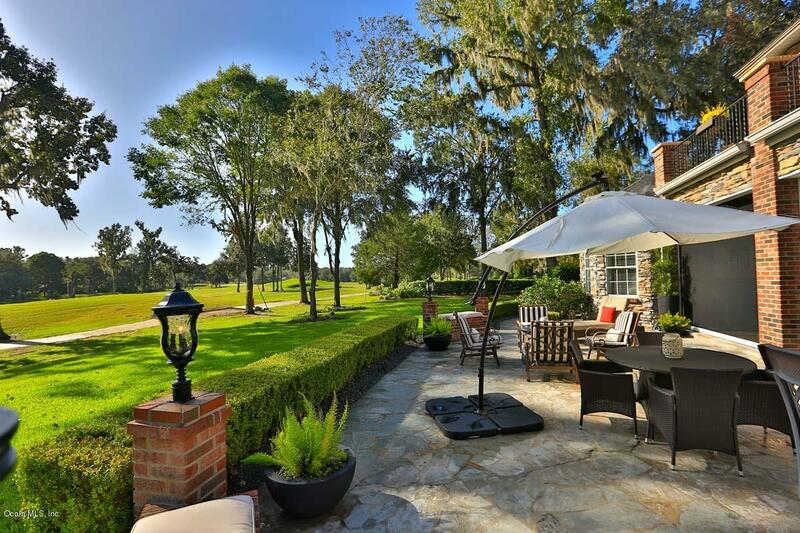 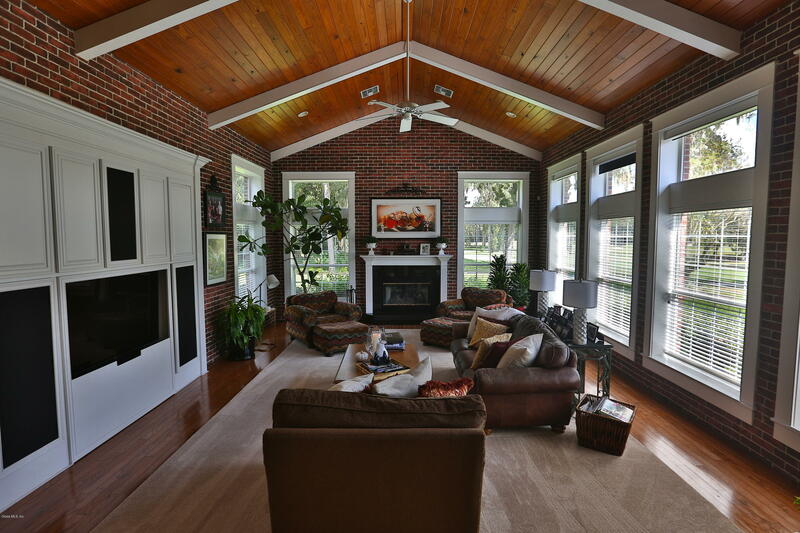 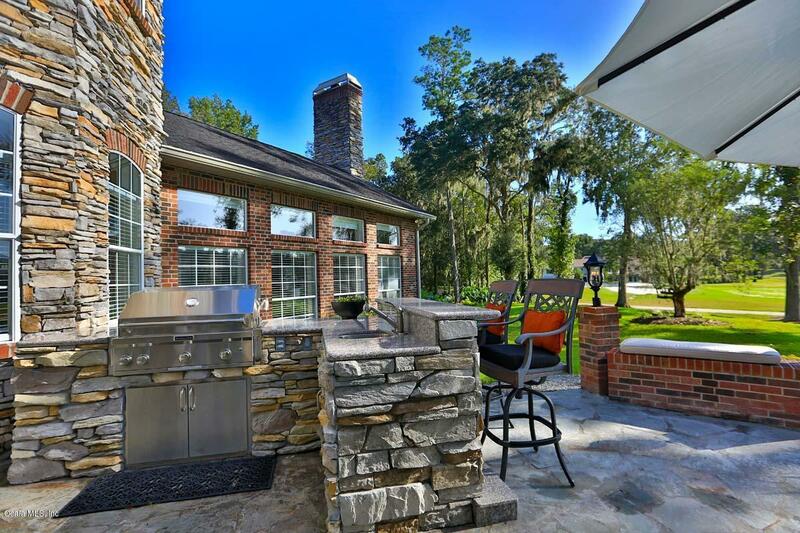 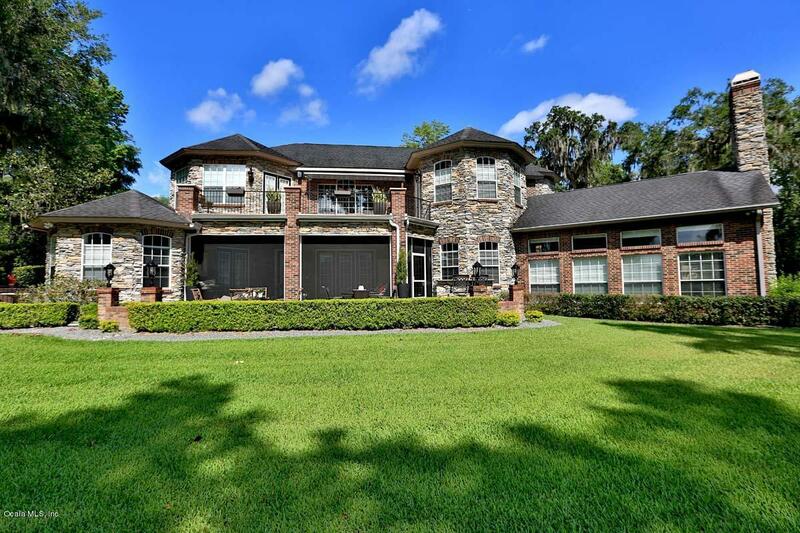 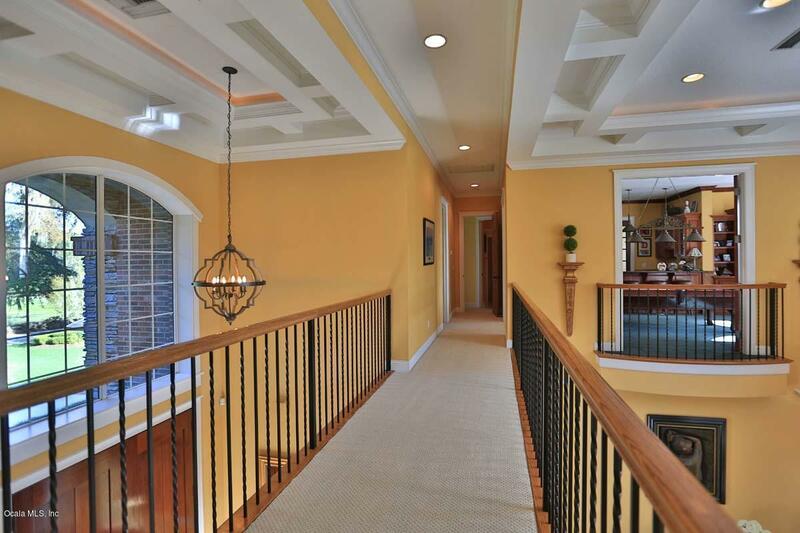 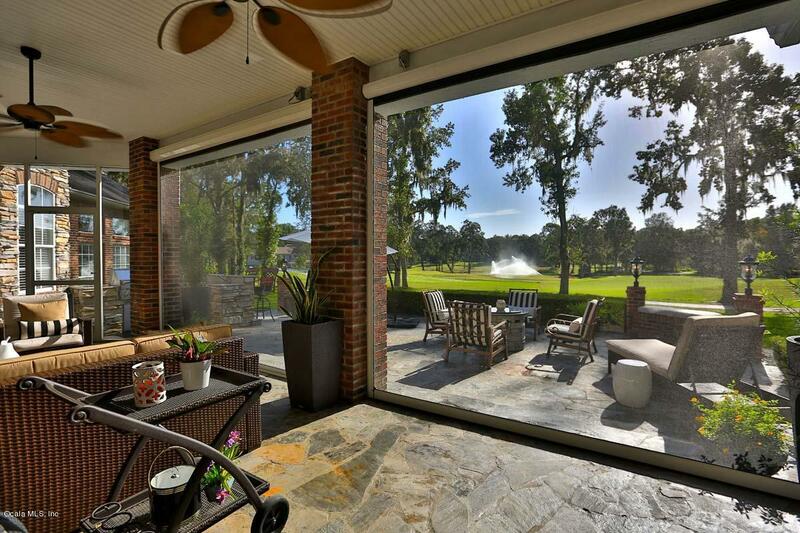 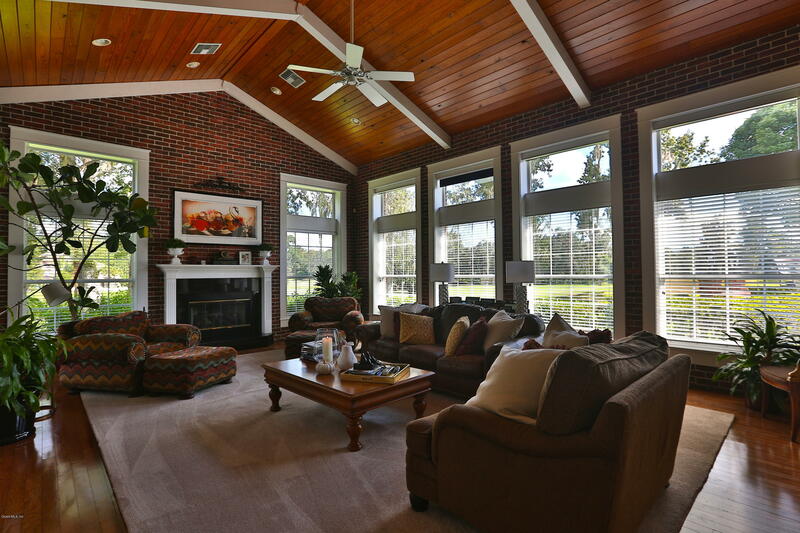 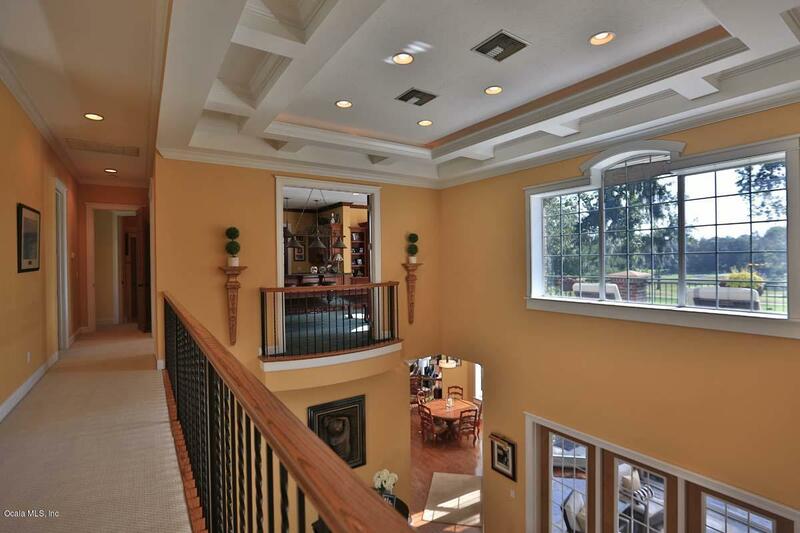 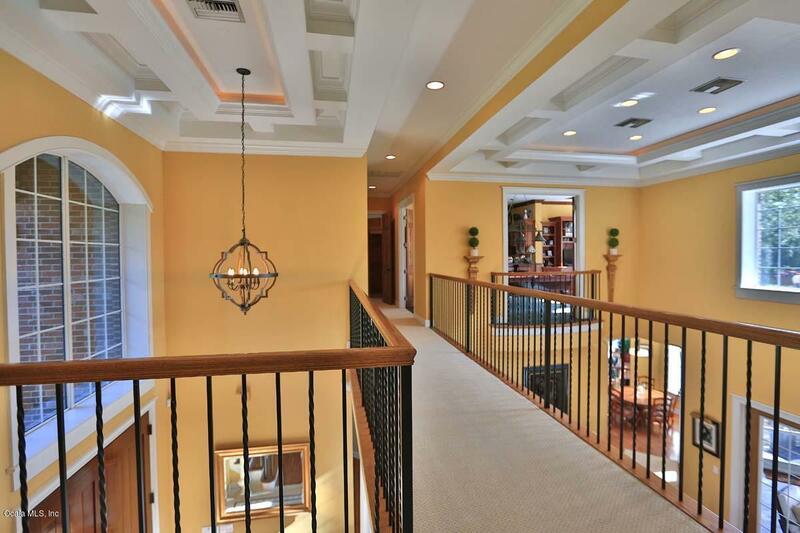 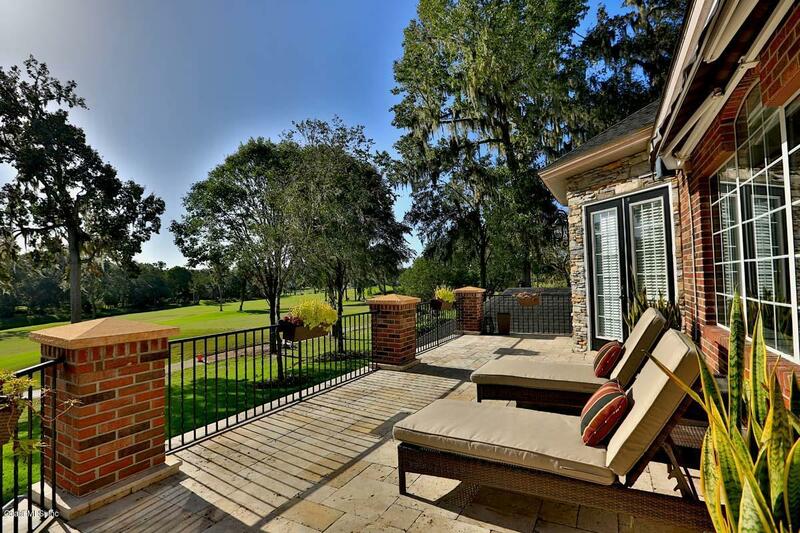 Exquisite estate home in the Country Club of Ocala with magnificent views overlooking the golf course. 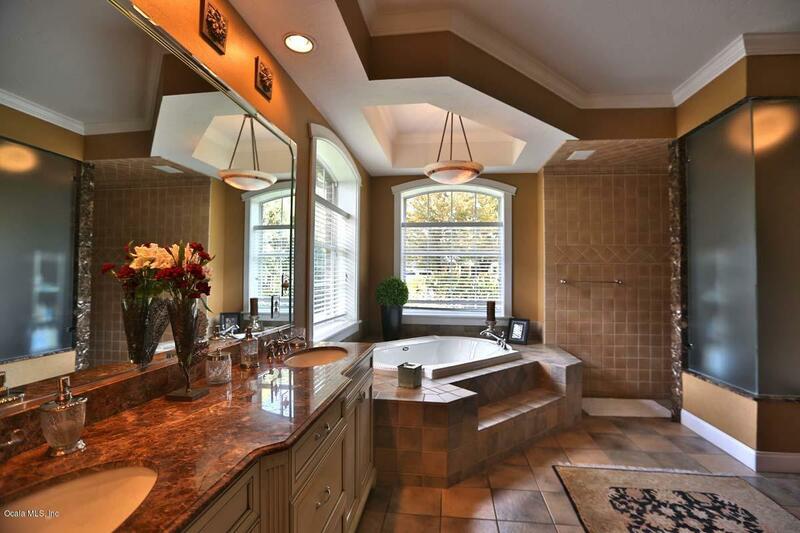 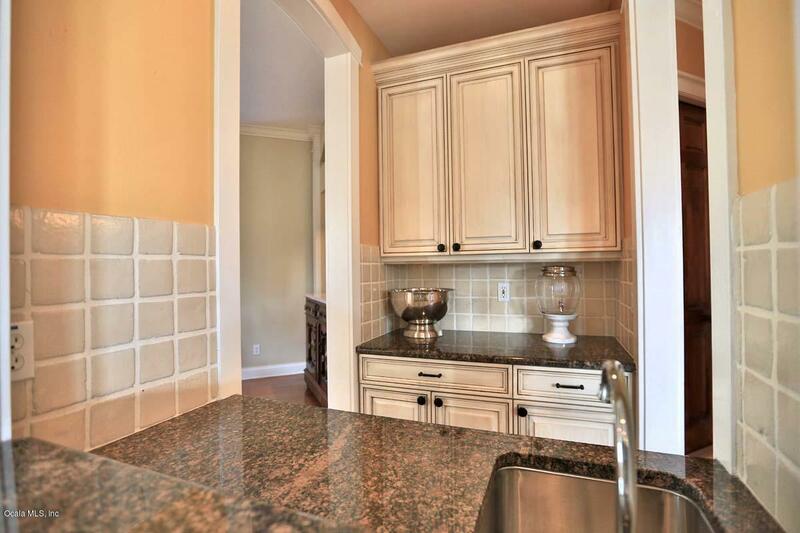 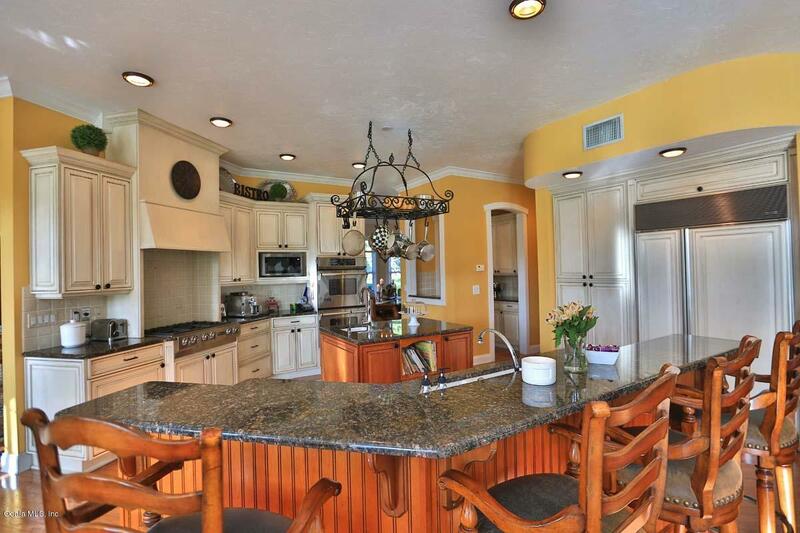 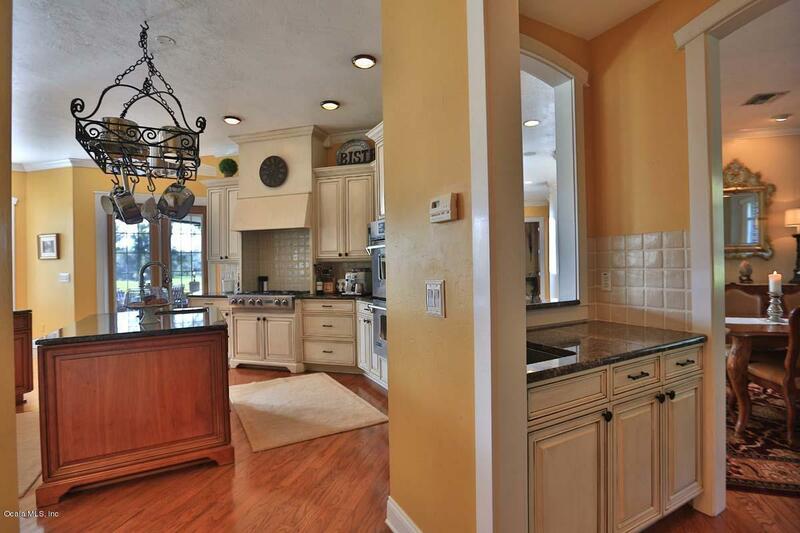 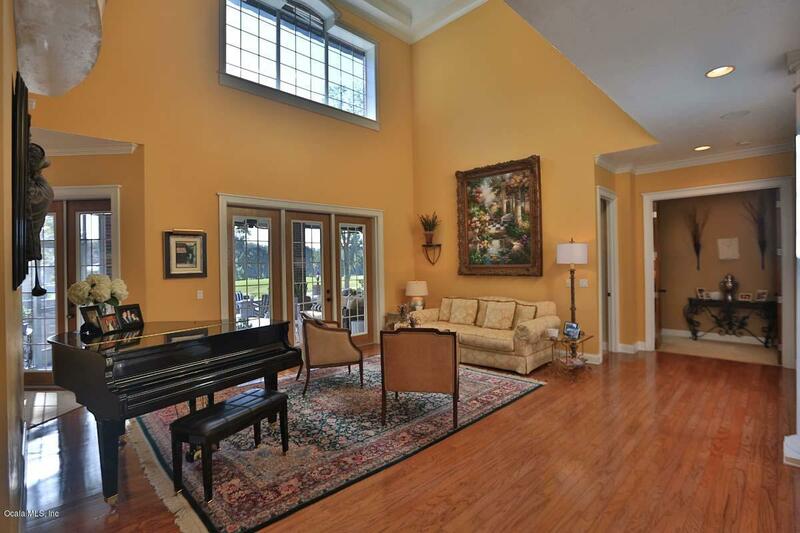 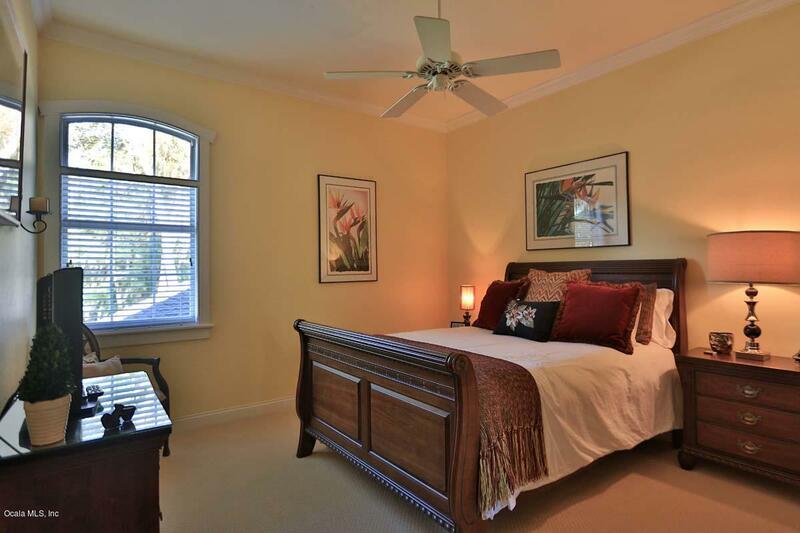 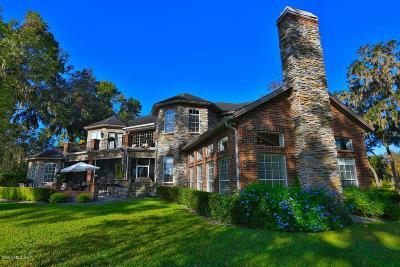 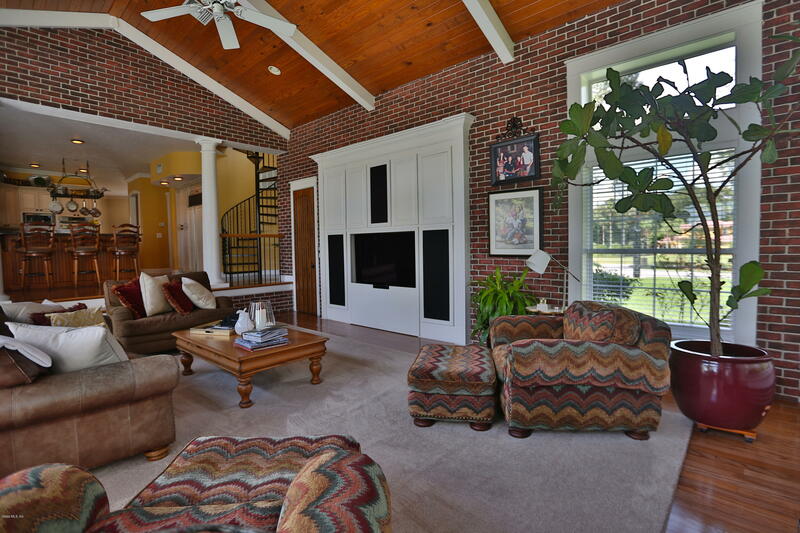 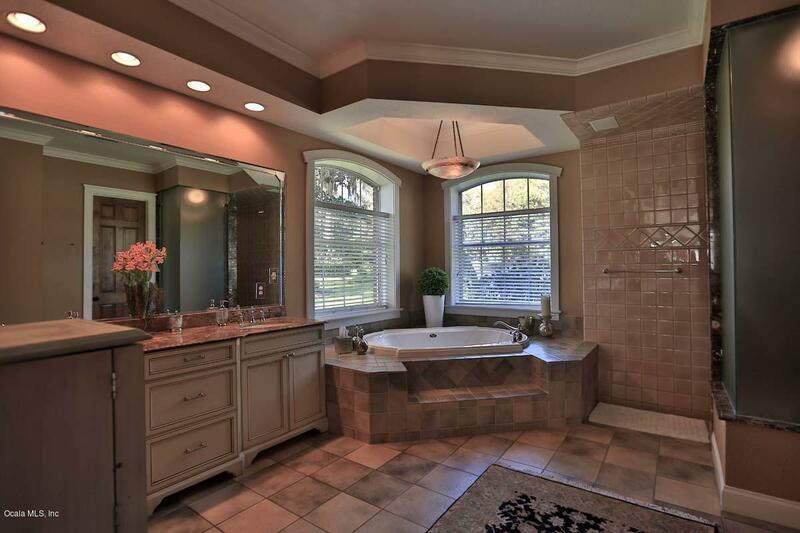 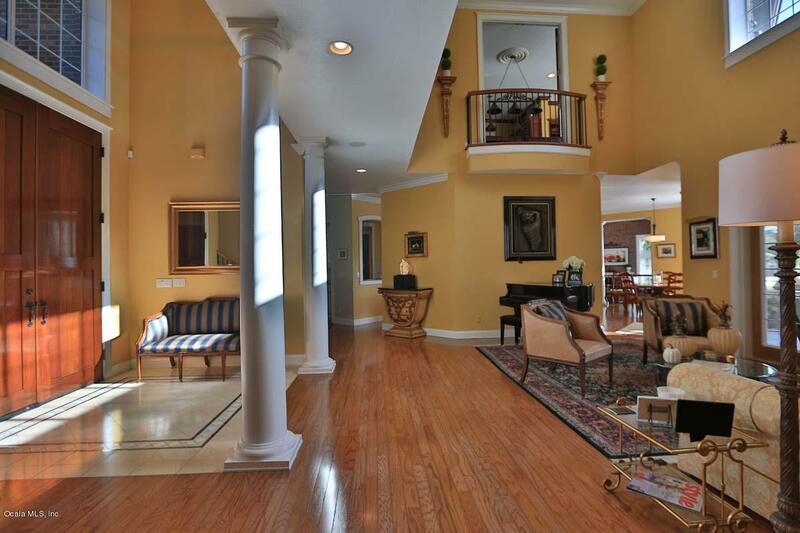 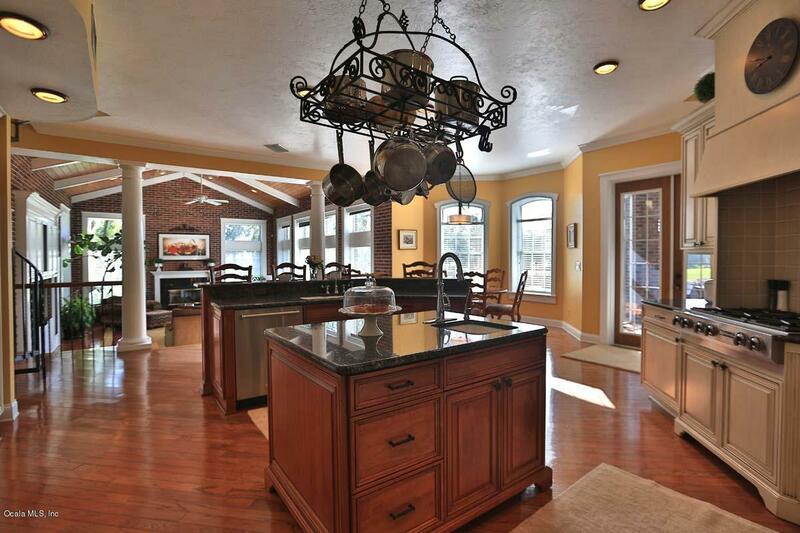 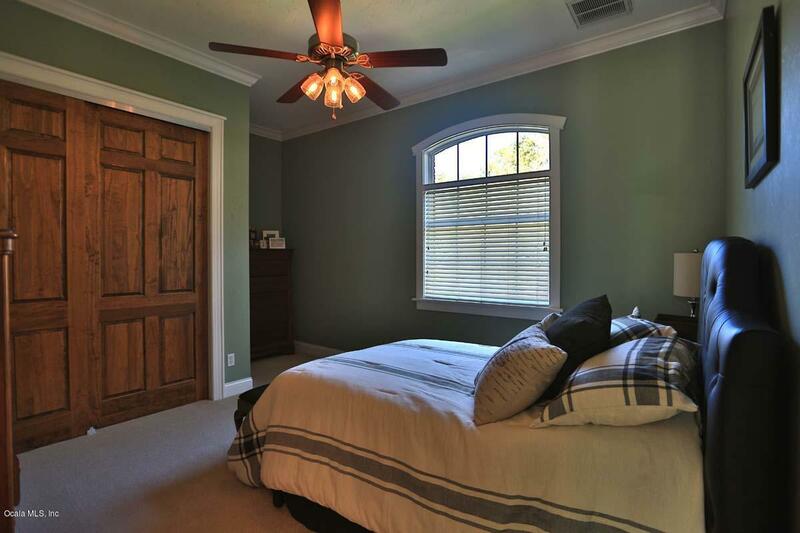 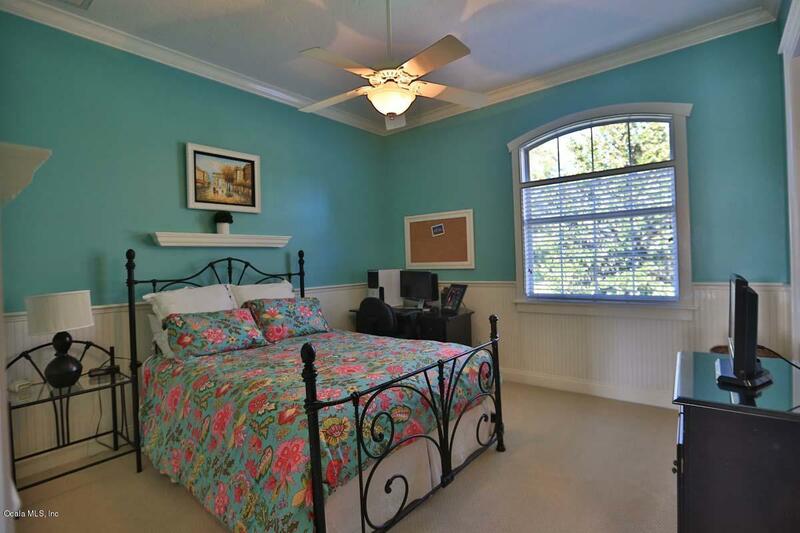 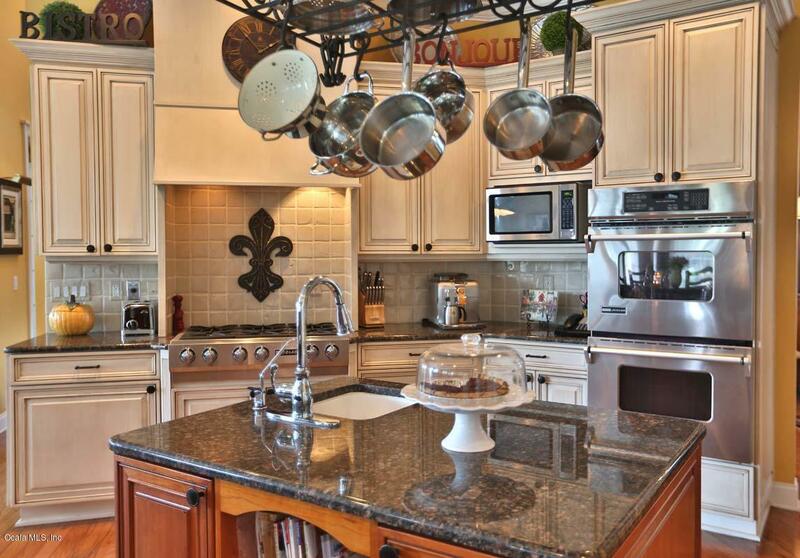 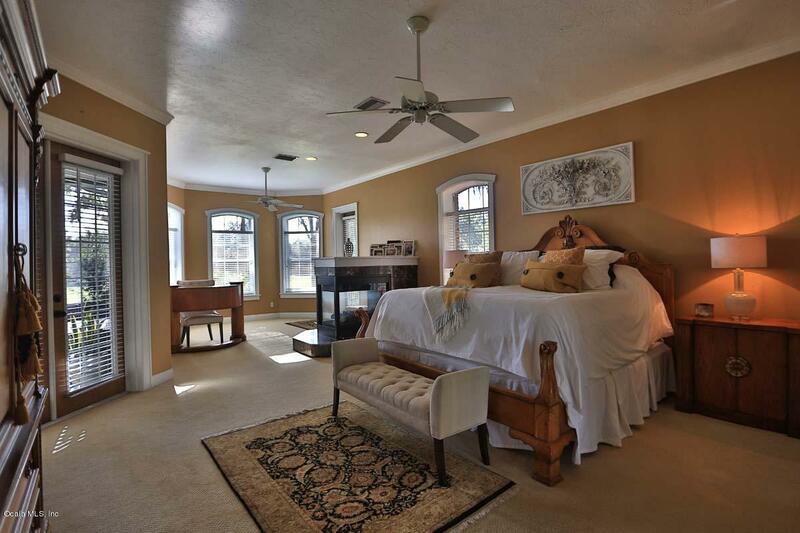 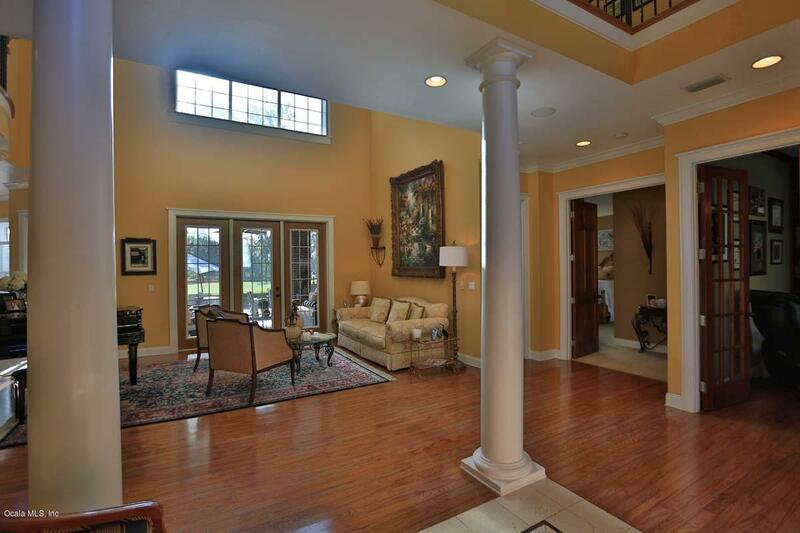 This estate sits on over 2 acres of beautifully manicured landscaped grounds located on cul-de-sac for added privacy. 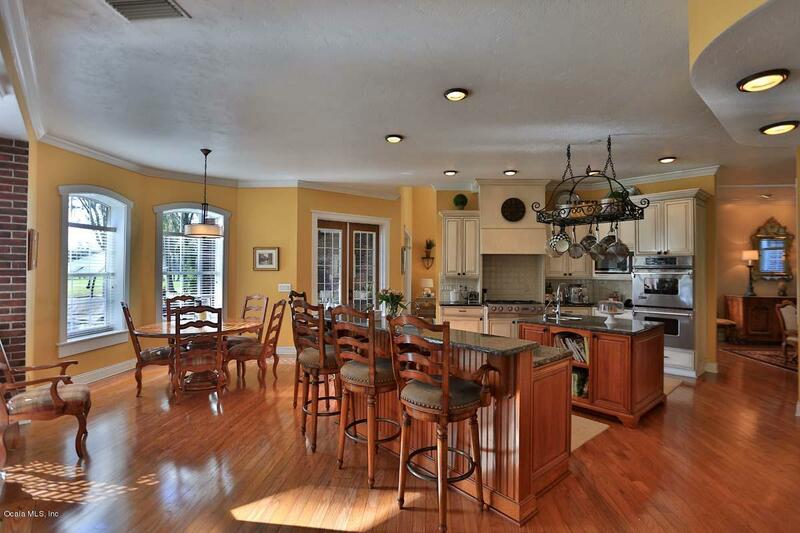 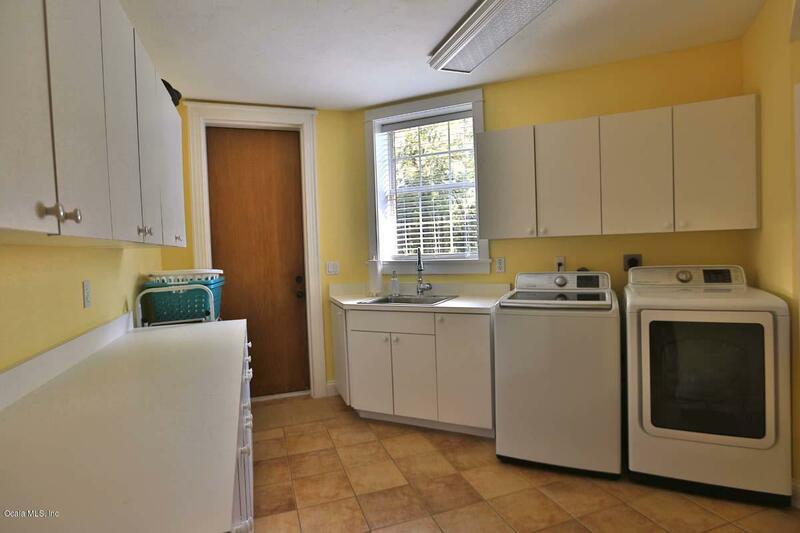 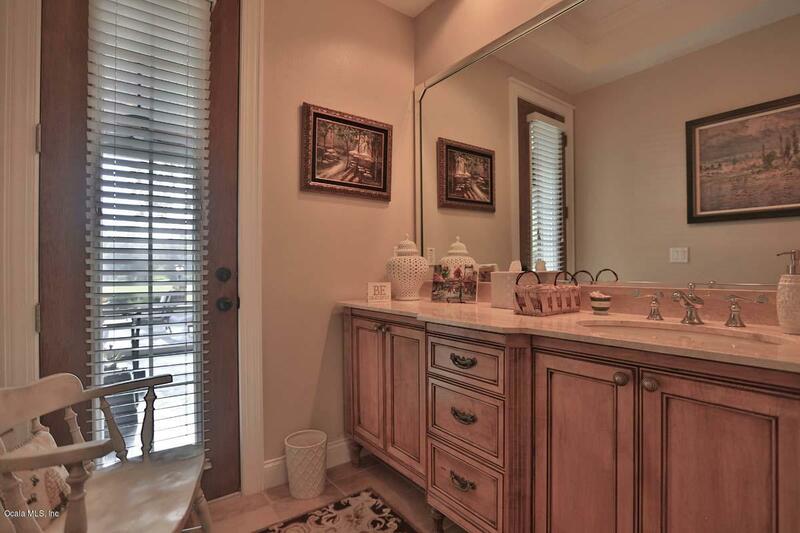 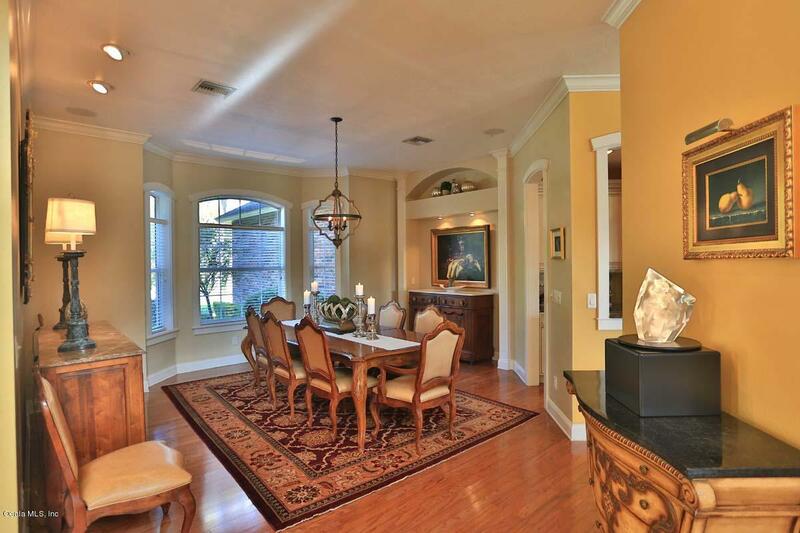 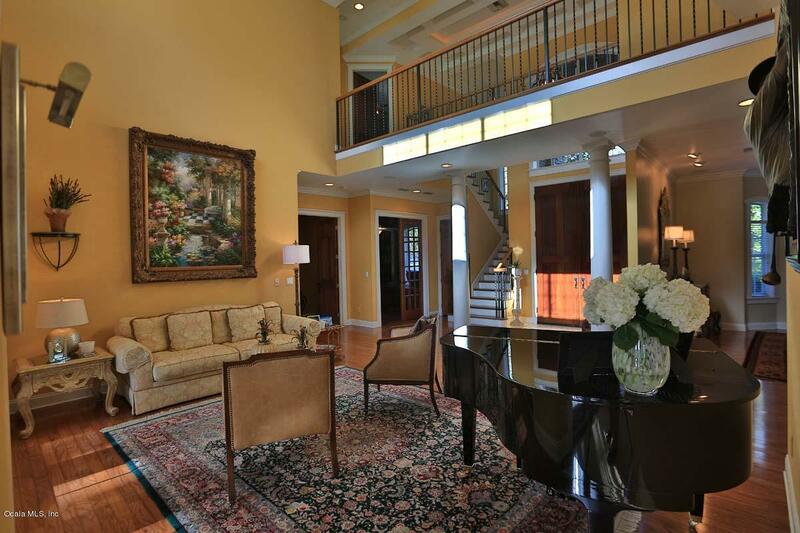 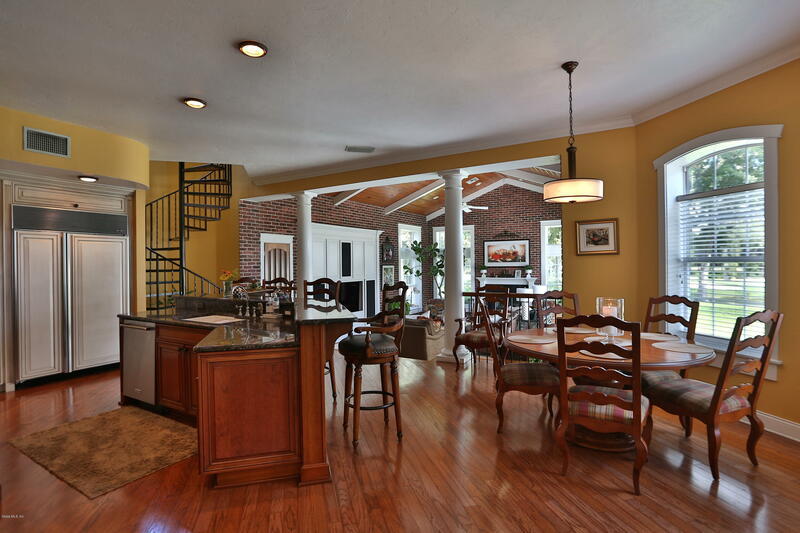 Designed for the family and entertaining the home features formal living room, formal dining room and open kitchen. 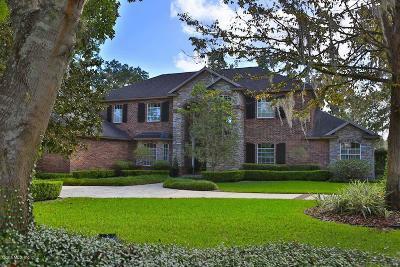 The gorgeous home on a cul-de-sac creates luminous appeal throughout the formal living room, formal dining room and open kitchen.Chef's kitchen features center island, stainless steel appliances, granite counter tops, hardwood floors, and is open to the breakfast nook plus the family room with fireplace. 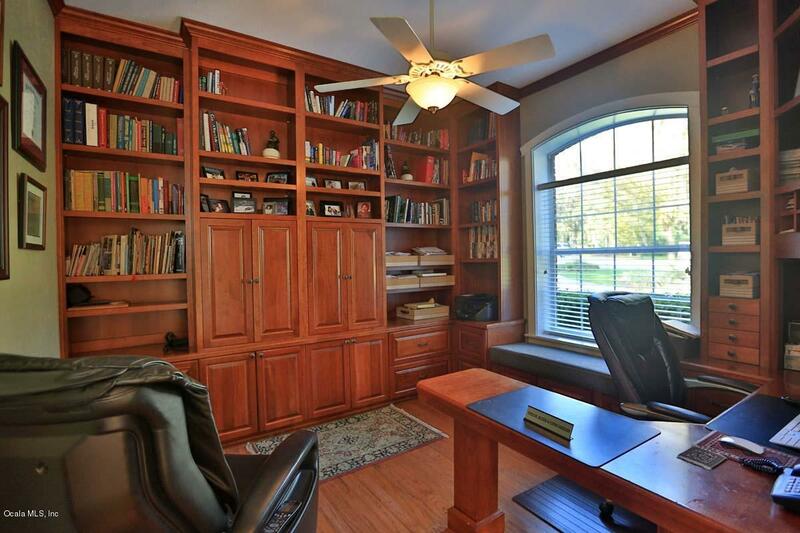 The home office features built in book cases, and cabinets. 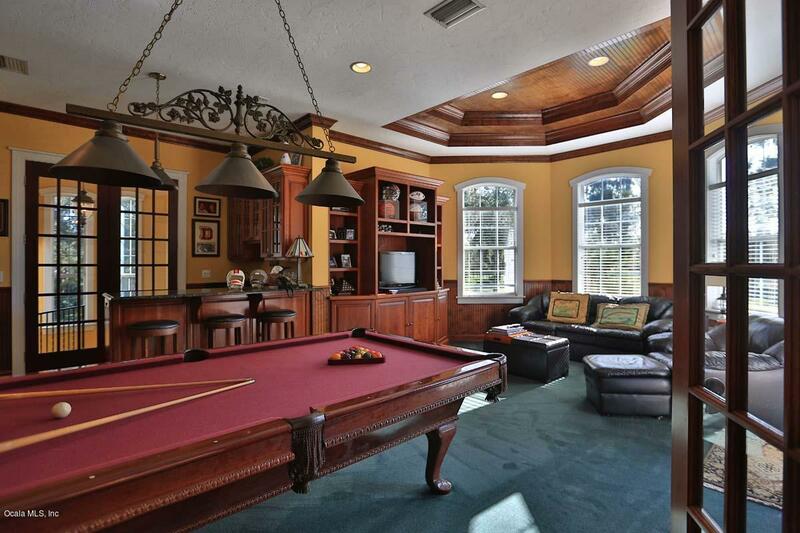 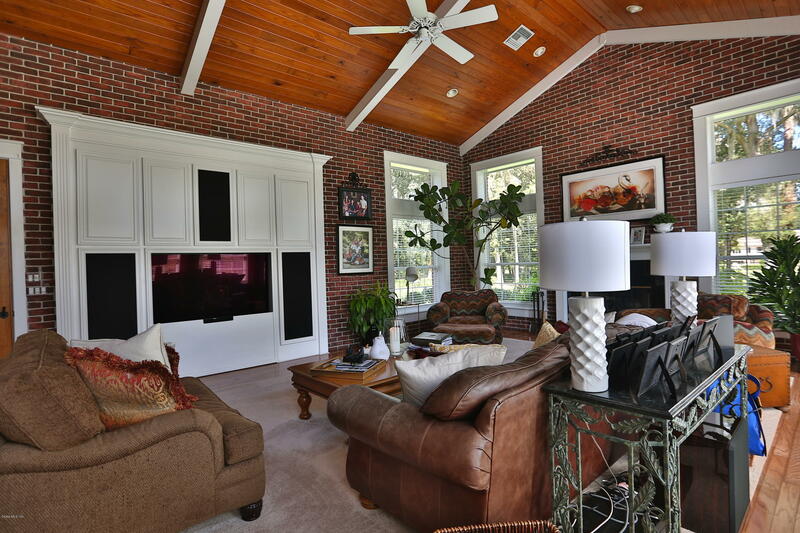 Game room features beverage bar, pool table and built in entertainment center.